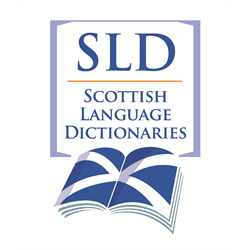 Scottish Book Trust, Scotland’s national charity transforming lives through reading and writing. Do you want to transform lives through reading and writing? 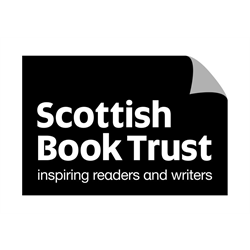 Scottish Book Trust is looking for an experienced marketing professional to create campaigns and produce materials for our schools programme. Scottish Book Trust is a national charity that believes books, reading and writing have the power to change lives. Our schools programmes inspire and empower children and young people to experience the pleasures and benefits of reading and writing. You will be highly organised, experienced in print production and creative and adept at planning and executing marketing communications campaigns. You will also be skilled at producing website copy and supporting social media around the campaigns. To apply go to: scottishbooktrust.com/about/scottish-book-trust-team/vacancies. Please note that interviews are planned for Wednesday 8th May. Founded in 1931, The National Trust for Scotland (NTS) protects some of our country’s most precious historical places and natural landscapes on behalf of everyone who loves Scotland. As the largest conservation charity in Scotland, the Trust receives no direct funding from the government and is reliant on generous donations in order to protect the 90 visitor properties and almost 200 acres of countryside that NTS cares for, as well as coastlines, islands, wildlife, cottages, mountains, woodlands, battlefields, castles, and country houses. With a refreshed brand and having re-developed the case for support, NTS are now looking for an ambitious Major Gifts Executive to help make the Trust become the charity of choice when it comes to supporting Scottish Heritage and Conservation. 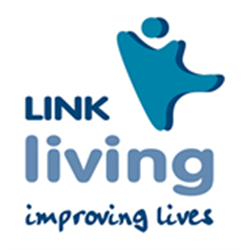 Working closely with the Major Gifts Manager, they will support the activity to identify, cultivate and solicit major gifts from existing supporters and, critically, develop new networks of major donors to drive the Trust’s charitable work. Planning and organising the Trust’s major gits events programme and acting as the main contact point for members of the Founders Circle, you will also work closely with relevant members of the fundraising team to ensure a co-ordinated and consistent approach to the Trust’s overall fundraising activities. The successful candidate will bring relevant fundraising experience, ideally within the individual giving or major donor environment, coupled with a demonstrable track record in developing and sustaining a portfolio of fruitful relationships with donors. Bringing a creative and strategic approach to donor cultivation and long-term planning, the successful candidate will have excellent interpersonal and communication skills and the ability to inspire donor confidence. Relevant experience in planning, overseeing, and executing events will also be key. This exciting role provides the rare opportunity to make a significant and lasting impact on the protection and promotion of Scotland’s heritage. If you are passionate about Scotland and its heritage, driven to succeed and excited to use your expertise and initiative to inspire current and new supporters, we would love to hear from you.